I HAVE been giving a lot of thought to our social networks as Christmas approaches. Not the Facebooks and the Twitters, mind you, but those other, underappreciated social networks which form the foundation of our community. Social networks like GAA clubs or credit unions or residents’ groups or parishioners at Sunday Mass or even associations of pigeon-fanciers and darts throwers. All involve real people making real connections. I include the pubs and restaurants in that social network category too. In fact, the great Irish-American restaurateur and cocktail mixologist Francis Schott (pronounced ‘Shot’), who will visit Belfast next month, makes a compelling case on YouTube for restaurants and bars as our oldest and most vital social network because that’s where we break bread or share a glass with our neighbours. And anyone who knows of the phenomenon which is the Caifé Glas in the Cultúrlann will know just how vibrant a role that community culinary oasis plays in the Irish language community. 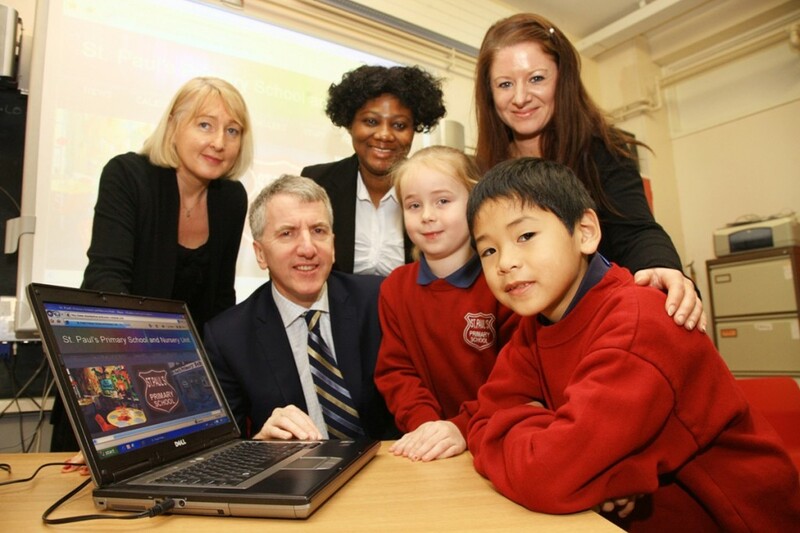 MY THOUGHTS turned to social networks as I visited two great schools last week: Malone College at Woodlands in South Belfast and St Paul’s Primary School in Beechmount in the heart of the Falls. Malone College, under principal Gerry Price, is a fabulous, all-ability integrated school where 700 pupils come not only from the Village and Andersonstown, but from 26 nations across the globe as well. Now that’s what I call cross-community. At St Paul’s one-tenth of the school roll, just shy of 300 pupils, comes from abroad. I saw pupils from Albania kick ball with classmates from Amcomri Street; youngsters from India with their heads down in study alongside kids from Iveagh. Head teacher Cathal O’Doherty is rightly proud of his wonderful school where standards are on the rise thanks to rigorous targets, a focus on excellence and support programmes such as the popular breakfast club. There is nothing which cheers the soul like visiting a school on the eve of Christmas and Malone and St Paul’s gave me a much-needed winter solstice lift. We will know the peace process is really firing on all cylinders when schools like this match the Rathmores and Methodys in terms not only of facilities but also in educational achievement. Great work is being done in enabling all our children to reach for the educational stars. Hopefully, in the time ahead, our cross-community Executive will step up to that plate, taking a leaf from our Celtic cousins in Scotland who have made access to education for all a touchstone for government. OF COURSE, St Paul’s most famous ex-pupil is the wonderfully talented troubadour Brian Kennedy, proof that outstanding achievement can come not only in academia but in the arts. I had cause to ponder that fact when I visited the Golden Thread gallery last week to visit the new exhibition by Belfast exile Dermot Seymour, one of our most compelling artists, whose images of Orangemen and cows have bewitched art audiences for 30 years now. In from Mayo for his homecoming show, Dermot drew a huge crowd. Missing, however, were the community and political leaders from the Shankill who should be rolling out the red carpet for Seymour as local-boy-done-good. The artist’s mother took her own life when he was just nine months old and he was brought up in the aptly-named Hopeton Street by his dad Tommy. His funny yet cutting commentaries are informed by a tough childhood and a turning away from the loyalism which surrounded him. He is a giant on the Irish artistic landscape, his new collections fetching many thousands of euro. How sad, then, that his work doesn’t receive the same acclaim on the Shankill as it does from the art magazine critics. FINALLY, I want to wish readers, as they say in City Hall, ‘Nollaig Shona Duit’. My New Year resolution is to make common cause with our unionist sisters and brothers in the Dome of Delight to build this great city together. Early in the New Year, Council will take the wraps off what’s effectively a Marshall Plan for Belfast, with over £100m of investment in new capital projects designed to transform our communities. That investment will ensure our traditional social networks – not least the social networks of the world of work – blossom across the New Belfast. But to really succeed that plan will need buy-in from nationalist and unionist. Plenty of work to do, then. Go raibh Nollaig faoi shéan is faoi shuaimhneas agaibh uilig. You can view Francis Schott’s views on social networks on Youtube by searching for ‘Francis Schott Cocktails’ on YouTube.